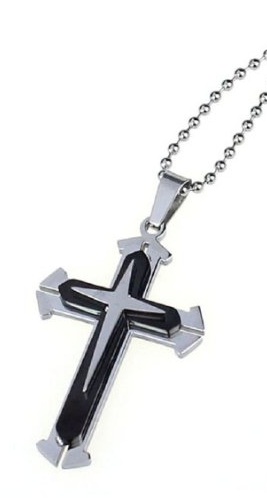 Stainless Steel Cross Necklace Only $4.25 Shipped! You are here: Home / Great Deals / Amazon Deals / Stainless Steel Cross Necklace Only $4.25 Shipped! and is ready to wear with casual style outfits for an edgy look. Get this Stainless Steel Cross Necklace for Only $4.25 Shipped!